How to Check PAN Card Application Status Online ? Home / Taxation / PAN Card / How to Check PAN Card Status Online ? How to Check PAN Card Status Online ? Check PAN Card Status : PAN Card is a Card issued by Income Tax Department of India. Not only it acts as an Identity Proof, but is also used for a lot of financial transactions which one needs to perform on a daily basis. Some of the transactions are like filing Income Tax Returns, Buying a Property, Purchasing a Vehicle, Opening a Bank or a Dmat Account, Starting a Business, Applying for a Credit Card etc. There are a lot of other PAN Card uses. If you have applied for a new PAN Card, reprint of PAN Card or for any changes in PAN Card, and you want to check PAN Card Application status then this article is for you. Today, we will guide you through the step by step procedure to check status of PAN Card online. Check Changes or Correction in PAN Card Application Status by Acknowledgement Number. Check Changes or Correction in PAN Card Application Status by Name & Date of Birth. Let us first tell you the complete procedure to check status of PAN Application by Acknowledgement Number. How to Check PAN Card Status by Acknowledgement Number ? 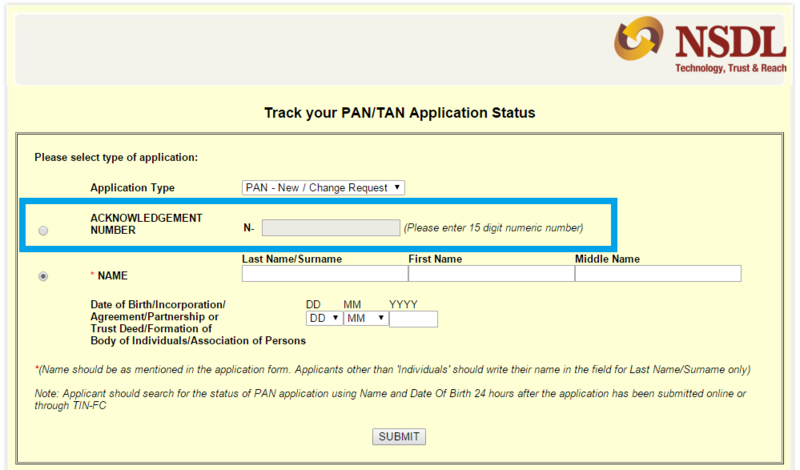 2) Click on the last option which says ‘Status Track for PAN Application’ (As Shown Below). Application Type : Select PAN -New/Change Request Option. Acknowledgement Number : Enter the 15 digit PAN acknowledgement number. 4) Click on SUBMIT to check PAN Card status. 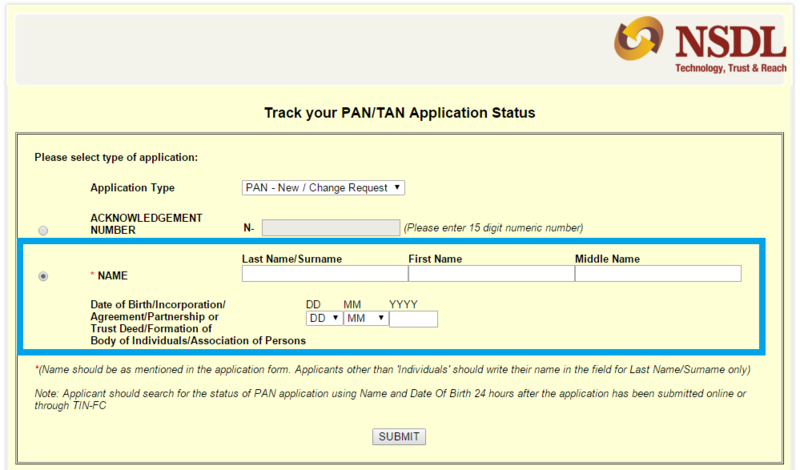 As soon as you click on Submit, your PAN Card Application status will be displayed on the screen. How to Check PAN Card Status by Name and Date of Birth ? Name : Enter your Last Name, First Name and Middle Name as entered in PAN Card Application. Note : By using this facility, you can track PAN Card Application status only after 24 hours after the application has been submitted. These are the 2 methods to check the status of your PAN Card Application. Both the methods are equally simple and you can make use of the process which is more convenient to you. How to Reprint PAN Card if Lost or Damaged ? How to Change Address in PAN Card ? 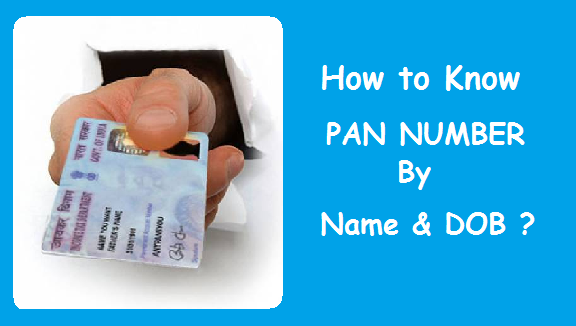 Previous How to Know your PAN Card Number by Name & Date of Birth ? Next How to track PAN Card Failed Transaction status ? 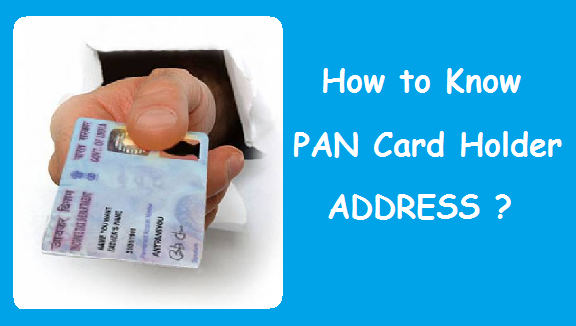 How to know PAN Card Holder Address Online ? 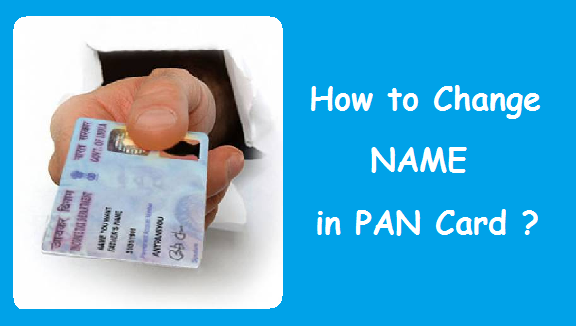 How to Change your Name in PAN Card ? 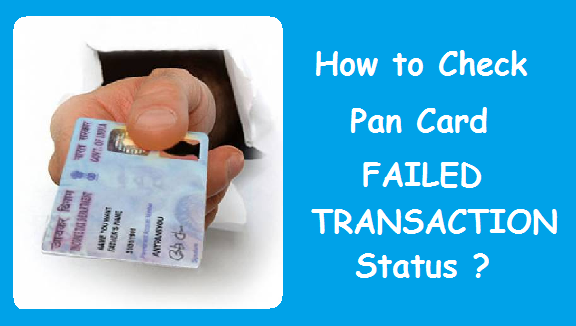 How to track PAN Card Failed Transaction status ? 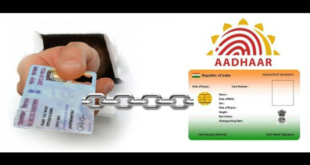 How to Know your PAN Card Number by Name & Date of Birth ? 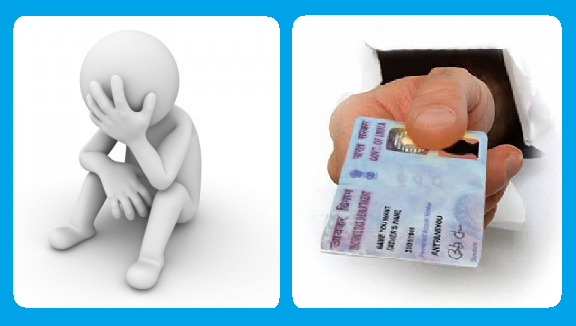 How to Apply for PAN Card if Lost, Stolen or Damaged ? 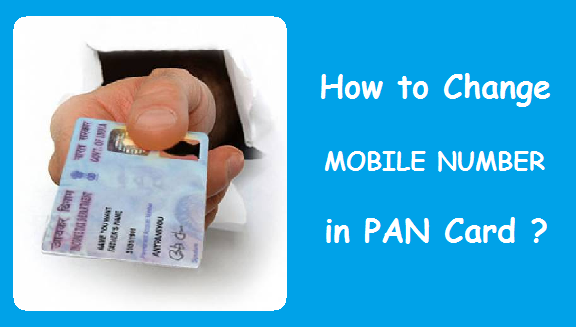 How to Change your Mobile Number in PAN Card ?